Have you ever wondered what makes the difference between a 60 percent dressage test and a 70 percent one? Most riders become frustrated at some point in their dressage careers, feeling that they’ve reached a plateau in their test riding. That may be true in many cases, but there are a few simple ways to extract valuable extra marks from every test you ride. 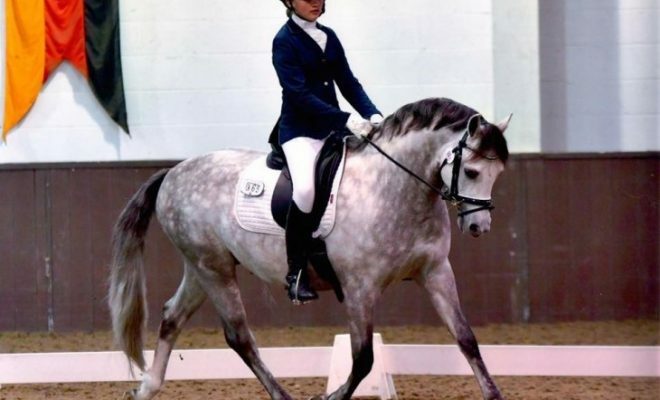 One of the best ways of losing marks in a dressage test at any level is to be taken by surprise by a sequence of movements that you haven’t practiced at least once at home. Riding individual movements during a schooling session is all very well, but can you and your horse cope with stringing several exercises together, at prescribed markers, in a measured arena? That said, it doesn’t pay to keep practicing a test too much. Horses, being smart and obliging creatures, quickly learn what comes next and begin to anticipate. Anticipation during a test can lead to tension and loss of rhythm, costing you valuable marks. 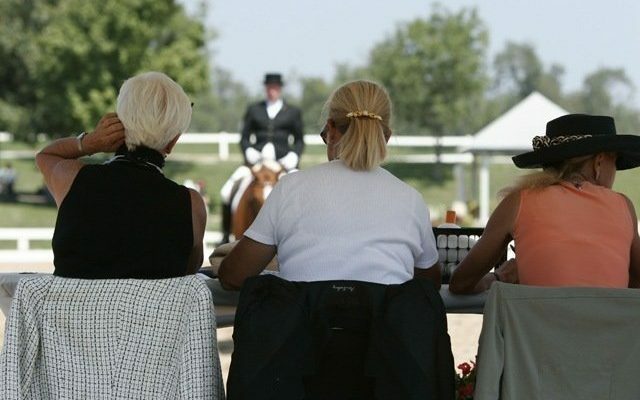 Everybody goes blank during a dressage test at least once during their competitive career. You can avoid this unnecessary mark-loser by asking a bystander to call the test for you. However, you MUST learn the test thoroughly too. Otherwise, how on earth can you prepare your horse for each movement in the test if you don’t know what’s coming next? Knowing the test inside-out can also boost your confidence, as you can be confident that forgetting where you’re going simply won’t happen! The old saying, “First impressions count” is certainly true of dressage tests. The first impression the judge has of you and your horse is when you ride down the center line. For a start, you must be on the center line, not a foot either side of it! You must also ride your horse straight and not allow him to drift or wander off-line. The best mark you can expect in either scenario is a 6.0. However, if you’re straight and accurate, you should at least get a 7.0 or higher, depending on the horse’s rhythm, balance, frame, etc. When you halt on the center line, the transition must be balanced. The halt must be square, straight, maintained, and precisely on the center line. When you move off, the horse should respond immediately to your aid, staying straight and balanced. Center lines are something that is seldom practiced at home, but rehearsing this critical movement is the best way of ensuring perfection when you ride a test. However, don’t fall into the trap of riding every center line with a halt at ‘X.’ Some tests ask for a halt at ‘G,’ and you don’t want your horse to begin anticipating and running out of gas as you approach ‘X’! 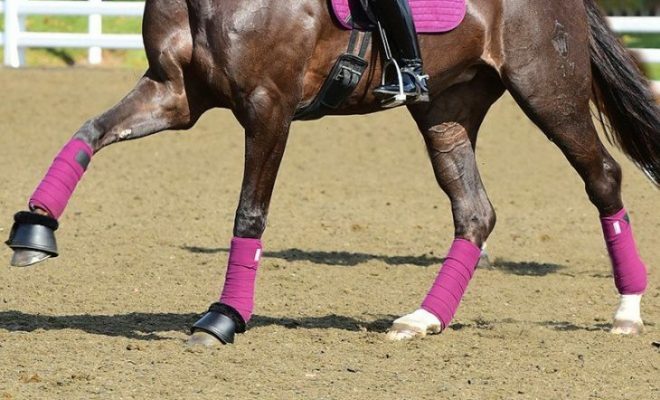 Also, some tests ask for a center line without a halt, either at the lower levels or as an exercise to test the horse’s straightness during a novice test. So, you don’t want your helpful horse to start anticipating the downward transition on every center line you ride. Transitions, including half-halts, are an exercise that you should often ride when schooling your horse. Transitions help to improve responsiveness, balance, collection, and suppleness and can help to prepare your horse for the next movement in a test. 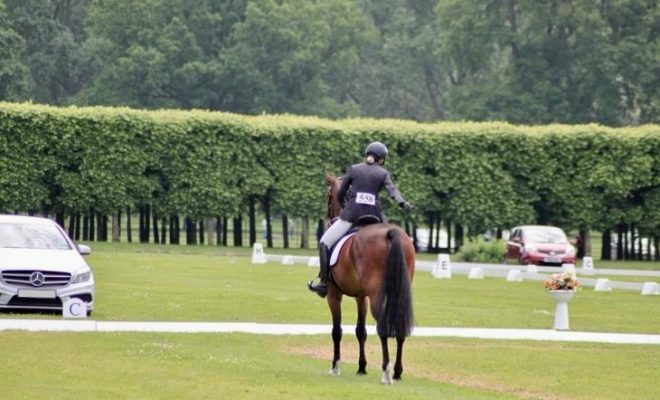 Look through any dressage test, and you’ll see just how many transitions it contains! Many tests score transitions as individual movements, so a lack of obedience or balance is a big mark-loser. The bottom line: be sure to incorporate many, many transitions in your regular schooling regimen; they are mark-winners! Many times, judges groan in frustration as they see a horse and rider skimming the corners of the arena or riding a foot in from the boards. 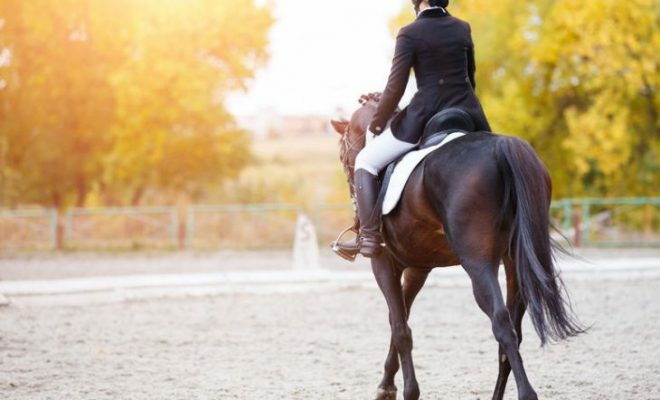 A dressage arena can feel tiny at the best of times when you’re riding a test, so don’t exacerbate this by failing to use every inch of space available to you! Try to ride as close to the boards as you can and as deep into the corners as your horse’s level of training will allow so that you maximize the whole arena. You’ll be amazed just how much more time you have to set your horse up for the exercises in the test, simply by making the best use of the space you have. One thing that irks a dressage judge more than any other is a lack of accuracy. For example, if the test asks you to ride a 15-meter circle, make sure that you do! If you ride an 18-meter egg, you will not receive a good mark! If a halt should be at ‘X,’ look to the ‘B’ and ‘E’ markers to make sure you are halting at ‘X,’ not a foot too early or a foot too late. Also, if you are asked to halt for six seconds, make sure that you do by counting to six in your head before you move off. If the test demands a rein-back of two to five steps, count the steps! If the transition is asked for at a particular marker, prepare your horse and make the depart at the letter. Sometimes, being penalized for inaccuracy can seem like the judge is merely picky, but the prescribed movements in a test are demanded for a good reason. For example, small circles are included in the test to show the judge that your horse is supple and balanced enough to perform them at the prescribed marker. 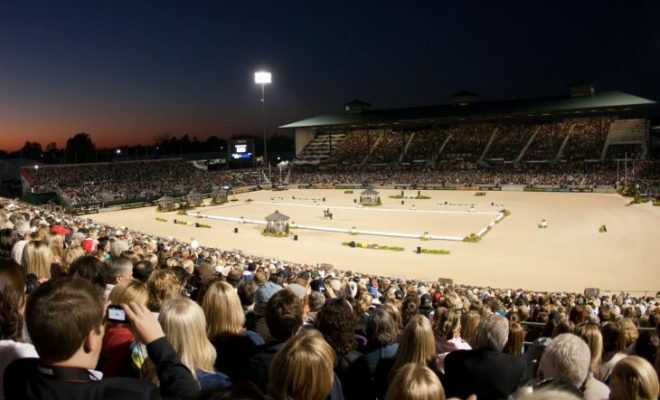 A 15-meter circle at ‘A’ will highlight suppleness issues if the horse falls out through the shoulder, making the circle too big, or if the rider is unable to center the circle at ‘A’ because the horse can’t bend sufficiently to stay on the line of the circle. And transitions demanded at a specified marker test the horse’s response to the rider’s aids and the rider’s ability to prepare their horse for the transition. Modern dressage test sheets are a mine of information that you should use. Every test sheet contains “directives” that are printed next to the judge’s comments column. These directives are there to tell the rider what’s being tested in each movement. For example, medium trot and medium canter will contain the words, “ground cover,” “balance,” and “suppleness,” among others. Read through the directives so that you understand precisely what the judge is looking for. If you feel you’ve reached a plateau in your horse’s training and you’re becoming frustrated that you always seem to finish mid-table in competitions, use our helpful tips to pick up extra marks. You can’t improve your horse’s way of going overnight, but you can stop throwing valuable marks away! Do you have any tips for picking up extra marks? Why not share them with other readers in the comments box below?